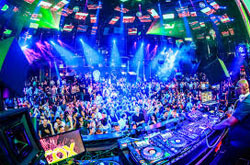 LIGHT, the first nightclub turned on by Cirque du Soleil, has been merging cutting-edge creativity with incredible music, producing a new nightlife experience ever since its grand debut at Mandalay Bay in 2013. Headlining DJs and performers lead the charge, coupled with exclusively built performance elements and visuals, innovative video mapping, lighting, sound and special effects, as well as avant-garde costumes and unique choreography imagined by Cirque du Soleil. Designed as an experience to play with your senses, LIGHT offers far more than the traditional nightclub. 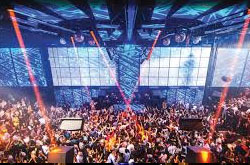 The chic, fashion-forward 38,000-square-foot venue features state-of-the-art production, theatrics, and, of course, world-renowned DJs and performers turn on a new kind of passion and creativity, redefining a "night out."